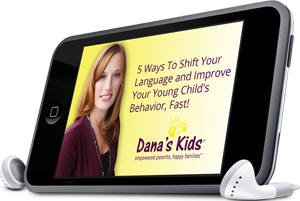 Parent with confidence and have a happier family - Sign up for my FREE newsletter and get FREE, instant access to my audio: 5 Ways To Shift Your Language and Improve Your Young Child's Behavior, Fast! Your privacy is important to us and we will never (ever!) rent or sell your information. Raising a child with special needs? Take a look at my tips for preserving the relationship with your spouse. 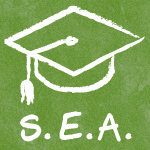 Search around this terrific site for other informative articles! This entry was posted in Dana's Kids, Developmental Delay, early intervention, NYC parent support, parenting children with special needs, quality time, Special education young children, special needs, spousal relationship and tagged Dana's Kids parent education, NYC parent education, parenting special needs, special needs parent relationships, special needs spousal relationships. Bookmark the permalink. Dana is truly my saving grace!… She is SMART, CONFIDENT, WITTY, and has a great real-life approach to how she does things! Dana was…able to pass on her skills knowledge and confidence, teaching us how to handle our daughters fears and concerns on an ongoing basis until, thankfully, they disappeared. Dana is a consummate professional, easy to work with, always available to answer questions and, most importantly, empathetic and positive in all that she does. I would highly recommend her to any family going through transition or crisis that wants to ensure the resilience of small children. Dana’s advice is second to none. i’ve learned that patience and consistency are the keys to a more successful, happy child! thanks dana! Dana will be able to help you and your child in a way that will make you both feel confident! Dana has a unique gift as a child development specialist and educator. She’s terrrific with children, a good listener and patient.When working with our family, she helped us identify ways to assist in our children’s development by providing very specific and appropriate solutions. I would highly recommend her to any family looking for external support in early childhood development. Contact me to get started! Dana’s Kids Tips: What Should I Look For In A Parenting Support Group? Parents and Teachers: Friends or Frenemies? © 2019 Dana’s Kid's. All rights reserved.